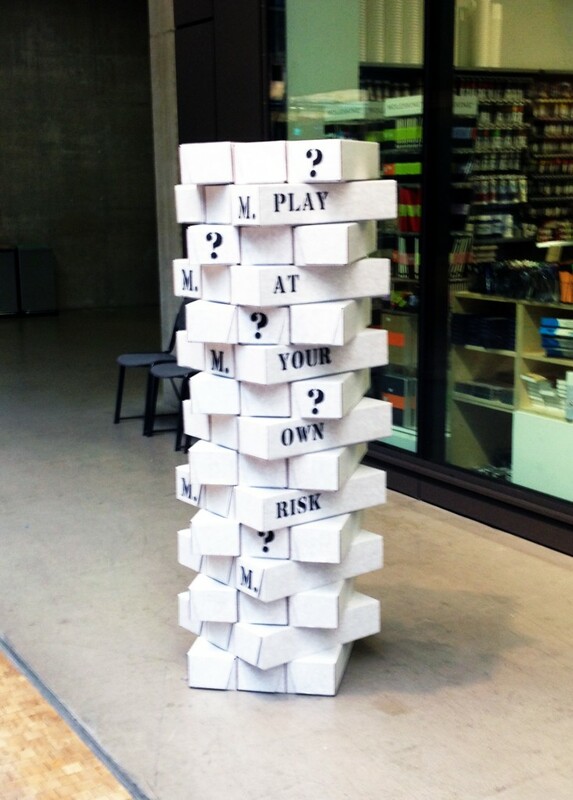 Staff and students from across UAL recently came together for a mini conference on the theme of risk-taking in arts practice. The event was a collaboration between CLTAD and CSM, hosted by Mark Dunhill (Dean of Academic Programmes, CSM), Alex Lumley (Associate Dean of Academic Support, CSM) and Professor Susan Orr (Dean of Learning, Teaching and Enhancement, CLTAD). Dr. Simon Bell, Head of Graphic Design, Coventry University, gave a thought-provoking keynote which attempted to outline a ‘meaningful mandate for risk’. Drawing on his recently completed PhD, ‘The promise of the short text: writing risk into visual arts practice’, he explored various forms of risk-taking in both personal and institutional practices, and presented an apparent paradox: If risk is supported institutionally it can become ‘safe’, and lose its creative potential. A question arising from this was how can we create an environment where risk-taking is implicitly acceptable, but not sanctioned to the extent that its creative potential is stifled? During a lively Q&A session, further questions were raised: How should we judge and assess risk? How can we ensure students are able to risk subverting core disciplinary tenets in their practice? What are differences between personal risk-taking, and creative risk-taking? How can we expect students to take risks in the face of competitive marking? The high level of energy and audience engagement was testimony to the provocative nature of Dr. Bell’s presentation. Participants then broke out into groups to discuss a further question: “If taking risks plays an important part in the creative process how is this underpinned, recognised and understood within the teaching and assessment of our courses?” Groups fed back their insights, with some common themes emerging around the need for trust amongst course teams and the value of setting the scene for risk-taking by adopting it as a ‘state of mind’. One participant remarked that rather than sanctioning risk, perhaps we need to find a pathway towards it. This entry was posted in News on December 19, 2014 by Teaching and Learning Exchange.